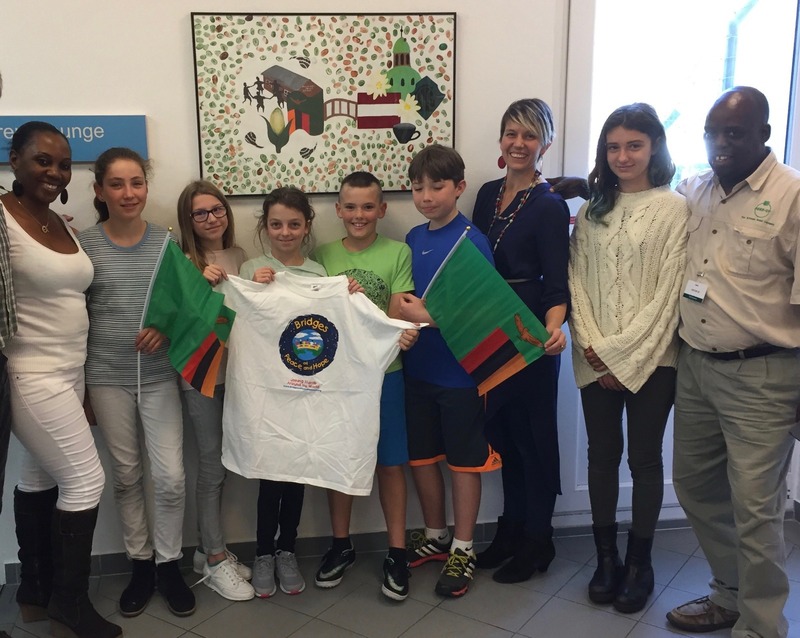 A team of teachers from the American International School of Vienna Bridges of Peace and Hope Club will spend 4 days at the Mukwashi Trust School in Zambia, working with their peers on the MTS staff. The groups will be sharing ideas about teaching, learning about each others cultures, and strengthening this model partnership that is changing lives for both of these communities! In February 2017, a powerful exchange occurred when 4 teachers from AIS Vienna traveled to Zambia to visit Mukwashi School. A month later BoPH helped complete this bridge when we made it possible for Judah and Mulemba to travel from Mukwashi to Vienna to teach about their culture, and to also get to learn about AIS Vienna first hand. On that same trip Judah, Mulemba, Nicole Forbes Wagner (shown in the photo) and the other AIS Vienna teachers who visited Mukwashi joined John Farrell in doing a presentation at the CEESA conference in Sophia, Bulgaria. For Judah, his first airplane ride and first time leaving Africa, these were life changing moments. AIS Vienna colleagues return to Mukwashi is a sign of the endurance of this partnership.